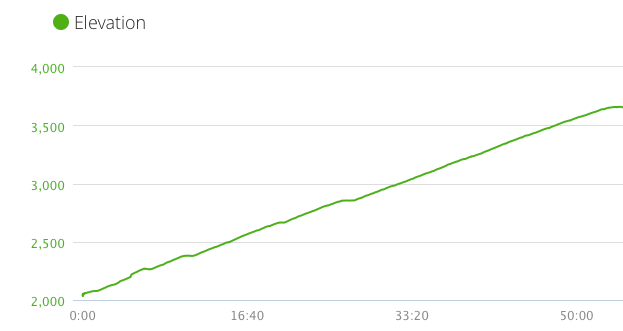 Total Hike: 4.6 miles Total Hike Time: 1:36 Avg. Pace: 2.9 mi./hr. Started the hike at 10:20 am under a cloudy sky. The temperature was 37.5 degrees and the ground was still frozen. The trailhead is best approached out of Townsend on Old Cades Cove Road, which becomes the Rich Mountain Road that leads out of Cades Cove. The trailhead is less than 50 yards from the gate at the park boundary. The brown guidebook describes the Rich Mountain Trail as being upside down. Often, trails in the park start along streams and creeks and eventually leave the music of the water as the trail moves up toward a ridge. 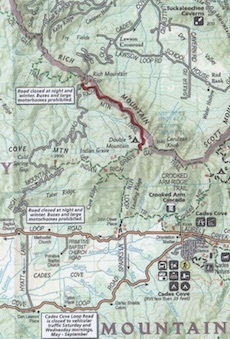 In the case of Rich Mountain, the creek is at the top of the trail near campground #5. The climbing starts immediately from the trail head and moves steadily up the whole length. At 1.3 miles, the trail achieves a ridge which looks out over Townsend. On this day, there is a blanket of fog gently covering the valley which is the home of Townsend and the ridge rose above the blanket to a clear blue winter sky. On day two of the creation story, YHWH created the firmament to separate the waters between heaven and earth. Hiking above a layer of clouds finds one above the affairs of men and yet below the realm of the divine; sort of an interstitial journey above the firmament. A half mile further, water music begins signaling the creek near the end of the trail. 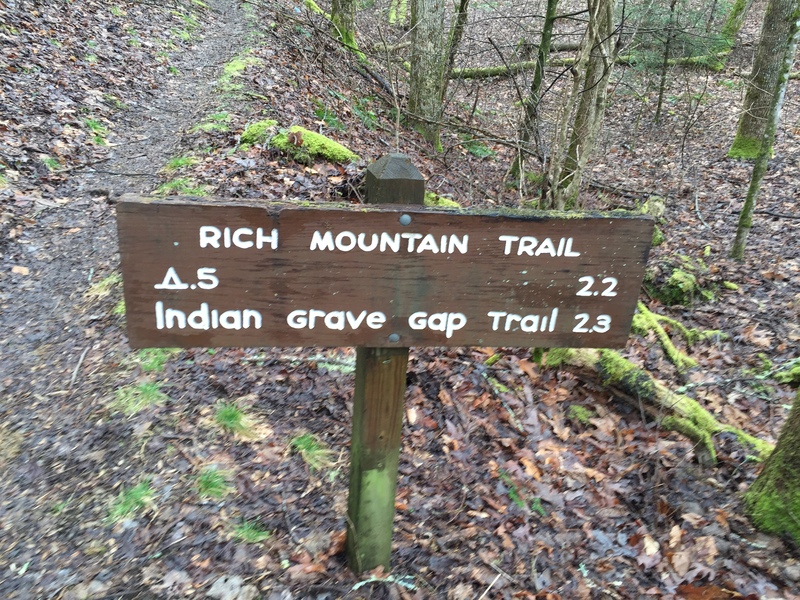 At 2.2 miles, Campsite #5 passes on the right and the intersection with Indian Grave Gap Trail is just 100 yd. beyond. A quick bite and a break at CS#5 preceded the return back down to the trailhead, which was accomplished in 42 minutes. A post hike conversation with a friend yielded anecdotal information that this section of the park is one of the more active areas for poisonous snakes, both copperheads and rattlers. None were encountered as this is their hibernation season but it is information worth noting for the summer months. 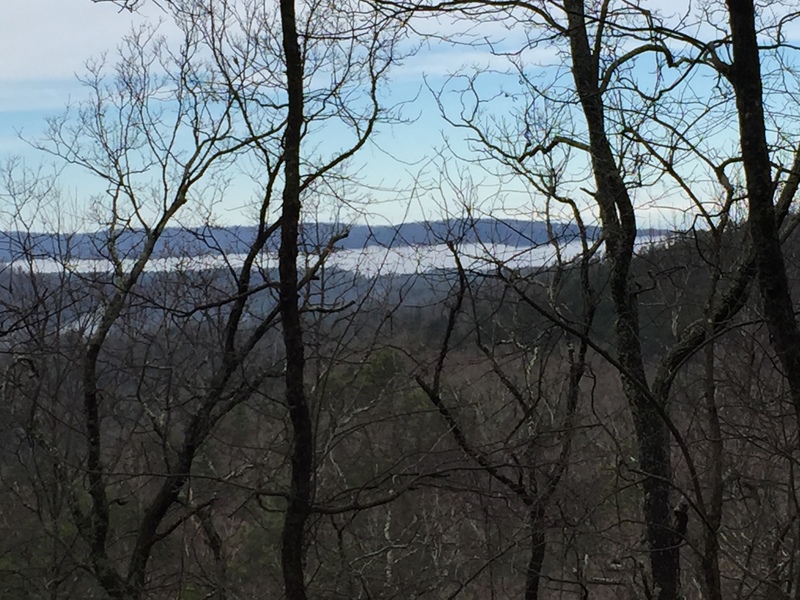 This entry was posted in Trail Log and tagged Cades Cove Section, Rich Mountain Trail on January 28, 2016 by blogginggazelle.